Dementia is a general term that describes the degenerative diseases that lead to memory loss. Alzheimer’s disease is a common form of dementia that affects over 5 million people in the U.S. over the age of 65. Those affected by Alzheimer’s will experience memory loss as the disease progresses, but this is not the only concern. Alzheimer’s patients will also lose the ability to take care of themselves, making it necessary for them to receive daily care. It is best for those suffering from Alzheimer’s or dementia to live in their own home in a familiar environment. However, they will need daily in-home care to do this safely. Assisting Hands Home Care provides Alzheimer’s and dementia care services to help those struggling with these diseases in Mount Prospect, IL. Our caregivers have been specifically trained to care for those with Alzheimer’s and dementia with a respectful, loving approach and positive reinforcement techniques. 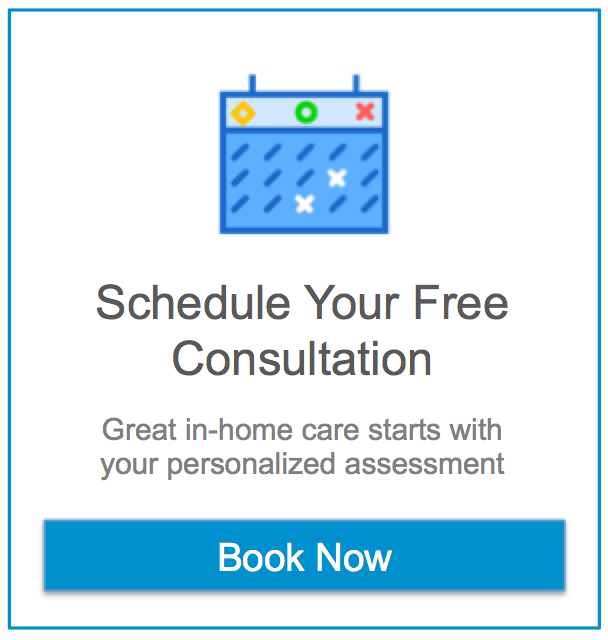 You will have some much-needed peace of mind knowing that your loved ones are receiving quality and compassionate care in their home from our licensed caregivers. We understand the importance of maintaining a safe environment within the home for those who suffer from Alzheimer’s or dementia. Our caregivers will reduce noise and clutter so that the home is safe and comfortable. We will also encourage your loved ones to handle any self-care tasks that they can do on their own. Those suffering from these diseases can often sense their loss of control and encouraging them to do self-care tasks can help reduce these feelings. It is our goal to protect the safety of your loved ones in their home. This is a common symptom of those with Alzheimer’s or dementia as they may start wandering aimlessly, looking for people, items, or food. This wandering can be very dangerous, especially if they manage to leave their home. Our caregivers will engage your loved ones in mentally stimulating activities such as conversation and games to help curb the boredom that leads to wandering and reduce the effects of memory loss. If your loved ones do start to wander, our caregivers will ensure that they stay safe while wandering and don’t leave the home. Those with dementia or Alzheimer’s commonly experience agitation when they sense their loss of control or feel threatened. We will help calm those who become agitated with a loving approach and positive reinforcement. As mentioned above, we can help minimize their sense of a loss of control by engaging them with activities and tasks that they can safely do themselves. Incontinence is a common symptom in the later stages of Alzheimer’s disease. Those suffering from this disease may forget how to find the bathroom or lose control of their bladder and bowels. Our caregivers can respond to these situations in a respectful way to avoid embarrassing your loved ones. We will ensure that your loved ones get cleaned up whenever there is an accident. Our caregivers will always make sure to preserve the dignity of your loved ones. It is common for families to hire caregivers to respond to incontinence issues while a family member is present to give their loved one emotional support. This arrangement can be very beneficial for those with Alzheimer’s or dementia. Our caregivers can help reduce the frequency of accidents by limiting fluid intake and scheduling a routine for food and drinks. Those with Alzheimer’s or dementia will lose their ability to provide self-care, including bathing, dressing, and other aspects of personal hygiene. Our caregivers will assist your loved ones with these activities and help them keep up with their personal hygiene. It is dangerous for those with Alzheimer’s or dementia to cook because they may turn the stove on and forget they were cooking. Our caregivers will take care of the meal preparation to ensure that your loved ones get the nutrition they need without having to cook for themselves. If you have a loved one in the Mount Prospect, IL area that struggles with dementia or Alzheimer’s disease, contact Assisting Hands Home Care for our Alzheimer’s and dementia care services. Our caregivers are specially trained to care for seniors struggling with these diseases and will provide you with some peace of mind knowing that your loved ones are safe. You can reach us at (847) 462-4402 for more about these services.